Oolitic Limestone is a white, pink, red, gray or black sedimentary rock composed of mostly calcite oolites. Oolites form when layers of calcite are deposited around a sand grain or fossil piece and then rolled around in relatively calm water, making them round. 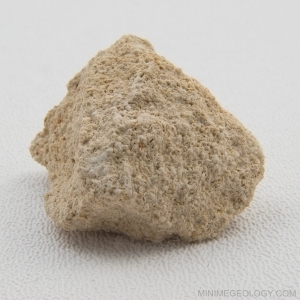 Due to the calcite content, oolitic limestone will react to acids.